Santa Claus home field. We all know where he lives and what he does for a living. I will not discuss his eating habits here. But what I want to tell you about is berries. Finland, is filled with different kinds of berries across the country. Some of the over 50 kinds of berries there, with 37 edible, are found only in the north part of the country. Cloudberries, crowberries, cranberries, wild strawberries, raspberries and lingonberries, amongst others, are a standard sight on Finnish tables. They are used for making jams, liquors, shakes, added to meat, smeared on the cheese. You name it and Finns add berries to it. 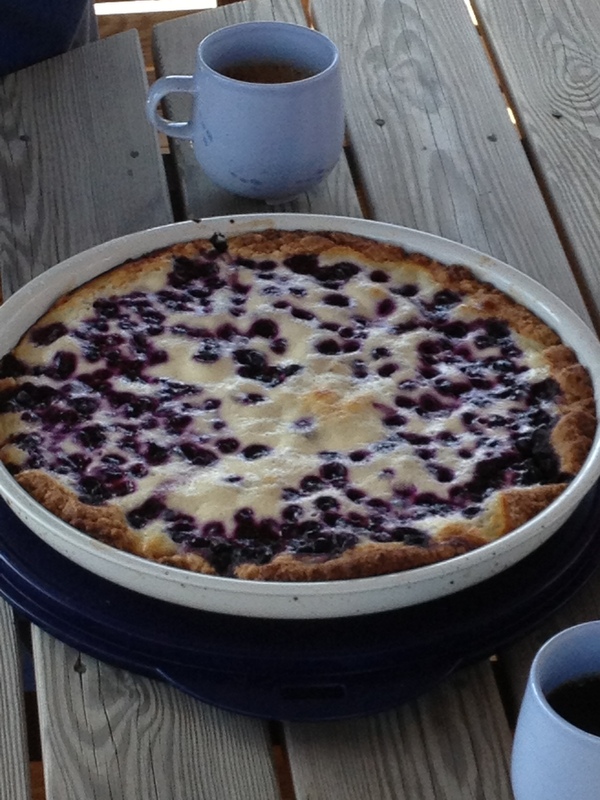 What my Other Me is looking forward every time we travel to Finland is a blueberry pie. Homemade. Berries are picked in a nearby forest, and not bought in nearby shop, where you can find big and juicy fruits. On the contrary to what you see in the frozen section in grocery stores, wild berries are always smaller, less juicy and not very sweet. Of course you can eat berries standing in the forest, having your lips and tongue coloured to a very dark violet. But a basket of the fruits is brought back home, washed, prepared to be laid on the dough bottom, and covered in a cream. It is very simple recipe to make in your kitchen, but the final outcome is amazing. Add Finnish kerma (thick cream), place the pie for 30 minutes in the oven, and you can enjoy local berries in one of the most traditional Finnish pies.